Digital-only banks are flocking onto the market in a move to take on the bigger financial institutions. It's a fierce attack on the banking industry, similar to what Uber did with taxis. 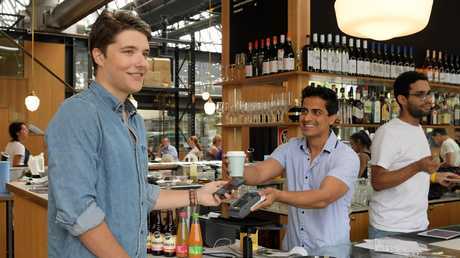 Daniel Vassilev orders a coffee from Sydney cafe Garson’s manager Sam Sardana with his neo bank account. Picture: Tracey Nearmy. "Smaller players can be nimble and respond more quickly to customer needs," he said. "The average time to sign up is two minutes and two seconds, you just need at least one form of identification. "Within three minutes you could have Apple Pay up and running and literally be paying for something." 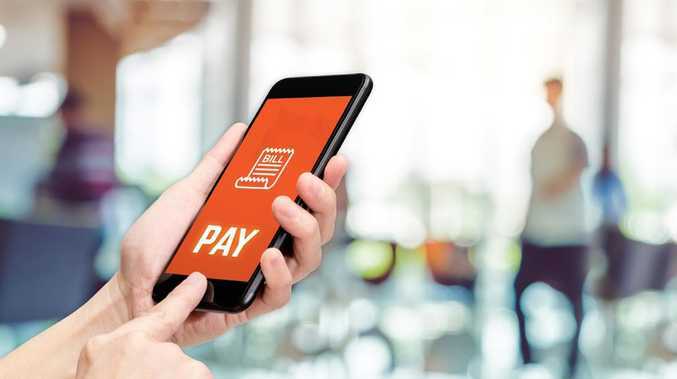 Daniel Vassilev, 22, said "the behaviour of the big four banks really was quite appalling" and this was one of the reasons he signed up with a digital-only bank. "I've been aware of the challenger banks. In the UK and Europe they have them and I've been looking at it from a distance," he said. "I signed up within a few minutes and had Apple Pay set up so I could transfer money and use it straight away without needing a card." "Customers have told us their experiences with other banks has been behind the times … they are backwards-looking instead of forward-looking," Ms Le said. "We believe money should be easy and not so hard to track where you are heading."